Air is critical to Ag sintering. The Cu surface of the non-metallized direct-bonding-copper (DBC) substrate can be oxidized seriously for bonding power devices using Ag paste in air. In this paper, we presented a pressureless sintering approach for a multi-scale Ag paste in the formic acid vapor by a commercial vacuum reflowing furnace. The study found that the activation temperature of the formic acid vapor had an obvious effect on the sintering behavior of the multi-scale Ag paste. The multi-scale Ag paste could obtain much denser sintered Ag when the formic acid vapor was rapidly injected at 180 °C by the vacuum reflowing furnace. The sintered Ag necks larger than 0.4 μm and the porosity lower than 11.3% were achieved in formic acid vapor, which had better sintering behavior than Ag nanoparticles (NPs) paste. 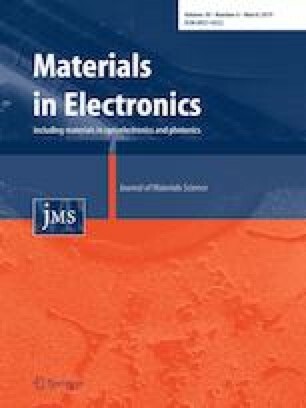 The thermal resistance of 1200 V/50 A half-bridge IGBT modules by sintering the multi-scale Ag paste in formic acid vapor was 0.41 °C/W, which was ~ 12% lower than those of the commercial IGBT modules using Pb92.5Sn5Ag2.5. This work could overcome the contradiction between the Ag sintering and the Cu oxidation of the non-metallized DBC substrate by the formic acid vapor in a commercial vacuum reflowing furnace. The method is extremely useful for the traditional manufacturer, who do not have to invest any new facilities for the sintering. This work was supported by the National Natural Science Foundation of China (No. 51877147), the Science Challenge Project (No. TZ2018003), and the Tianjin Municipal Natural Science Foundation (No. 17JCYBJC19200). Dr. Yunhui Mei is the corresponding author of this work.